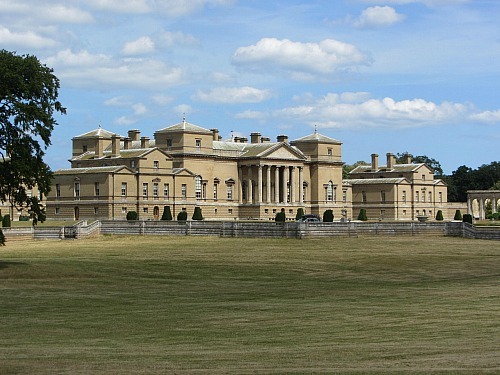 Houghton Hall, without doubt, has to be one of the most outstanding stately homes in Norfolk UK. 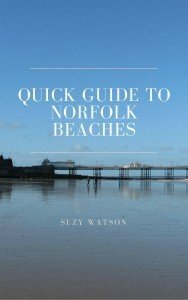 If you’re in Norfolk, anywhere in Norfolk, not just nearby, this is a definite “must-see”. The magnificence of this grand Palladian house is stunning and I’m only sorry I haven’t visited it before now. This is the most extraordinary story of a British Prime Minister building a magnificent Hall purely to house his treasured art collection and possessions. I went to the well documented Houghton Revisited exhibition, but, if I’m completely honest, I was more impressed with the architecture and history of the house and the beautiful settings surrounding the house than the actual paintings (although they were fascinating too). This definitely won’t be the last time I visit the house and gardens. The history surrounding Houghton and why it was built is a bit like a fairy tale. It was built in the 1720’s by Sir Robert Walpole, the first British Prime Minister, in order to house his magnificent art collection and other treasured possessions, I suppose you could call the house a monument to himself. 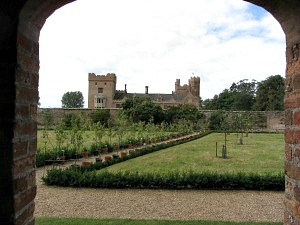 Decades later massive debts forced the owners of the time, successive Marquesses of Cholmondeley, to live elsewhere. The present Marquess, David Cholmondeley used to come on his summer holidays to Houghton Hall, has many wonderful childhood memories of those times and now lives here with his wife and 2 children. As you walk up the Great Staircase, designed by William Kent, you immediately get this feeling of grandeur, you can’t even get your hands around the solid mahagony banisters they are so wide! The Stone Hall is spectacular, wonderful marble and an amazing ceiling with Robert Walpole’s coat of arms in the centre. But if you want more marble, then you won’t be disappointed when you reach the Marble Parlour. Many of the state rooms at Houghton Hall are virtually untouched, and it doesn’t take much imagination to conjure up thoughts of Sir Robert living here in the eighteen hundreds, or even the present Marquess and how he might use the house today. 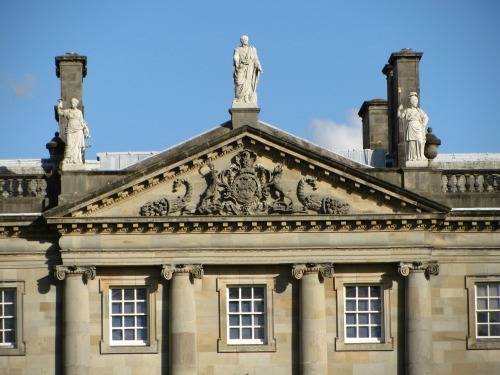 I could have taken photos of the interior, but didn’t feel very easy about it with so many wonderful and ancient pictures on view, so here is a link to the Houghton Hall website where you can see some images of the magnificent internal architecture and treasures. I loved the library. Crammed full of leather bound books of all sorts. It’s just fascinating to read the titles of some of these books. Of all the rooms I went into, this room gave me the greatest sense that it really hadn’t been touched since Sir Robert left the house. As you wander around the outside of the house, the gardens and deer park leave you feeling completely relaxed. 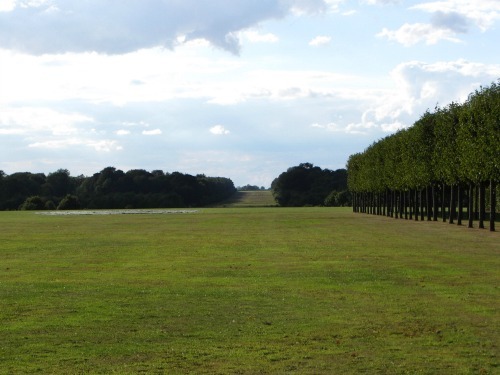 There are sculptures to admire, a wilderness to amble along, a little bit like walking around a maze, an incredible vista looking away from the house down a pleached lime avenue, and a very pleasurable walk amongst, but not too close to, the fallow and white deer. The walled garden is also incredibly beautiful. Obviously much thought and hard work has gone into this garden, and although I visited in late summer, I suspect that the colour and vibrancy of the particular gardens are magnificent if you visit in late spring and early summer. The eye is taken to so many beautifully planted areas that if you want inspiration for your own garden,these gardens are definitely worth a visit. 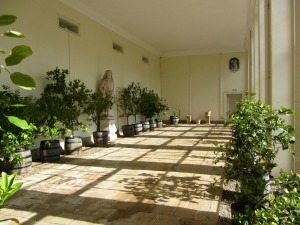 It was winner of the Christies and Historic Houses Association ‘Garden of the Year Award,’ and has so much to look at - the herbaceous border, the Italian garden, a formal rose parterre, a fruit and vegetable garden and much more. 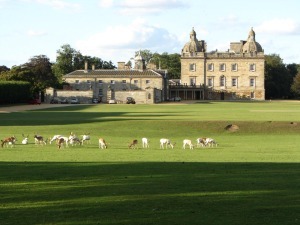 The Deer Park at Houghton is a site to see. Amazing white fallow deer wandering around without being disturbed by the general public, with their majestic antlers and gentle looking faces. 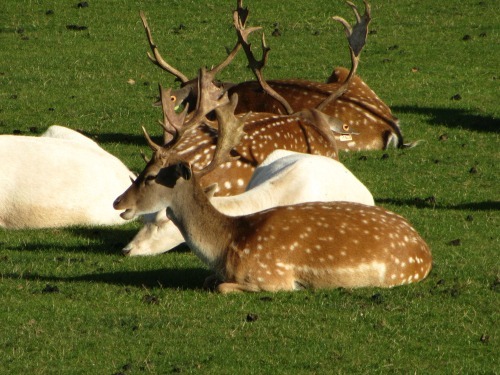 The estate has about 600 white fallow deer so you are pretty much guaranteed to see these when you visit. If you don’t see them around the house, you can take a walk around more of the deer park and see if you can spot them elsewhere. The stable blocks at many of these stately homes always seems to be converted to the tea rooms! 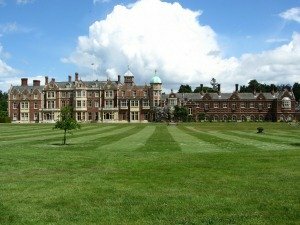 Sandringham House being another example. 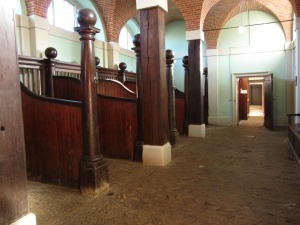 However, they do make for a much more interesting and enjoyable visit when you’re surrounded by wonderfully constructed buildings that were built for the horses and their grooms. 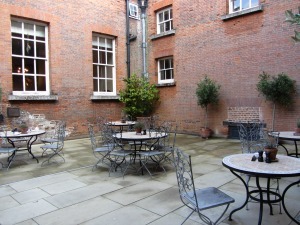 The Restaurant provides hot and cold meals and also has seating inside and out. 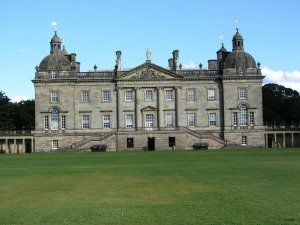 So why not take the time to enjoy your day with a light lunch, or a cup of tea and a snack and really soak up this historic treasure that is Houghton Hall. Not far from Houghton Hall (10-15mins) is the Dabbling Duck pub in Great Massingham which has a very relaxed atmosphere, good food, and is also dog friendly. 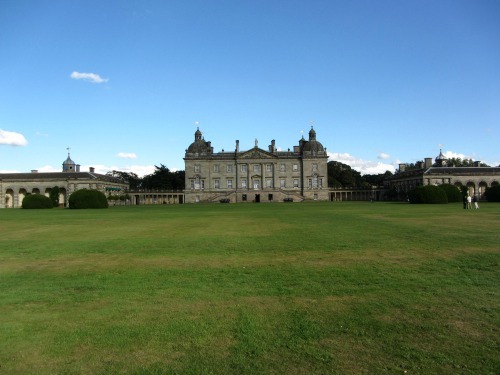 Sit back with a drink and marvel at the splendour that you've just seen at Houghton Hall. 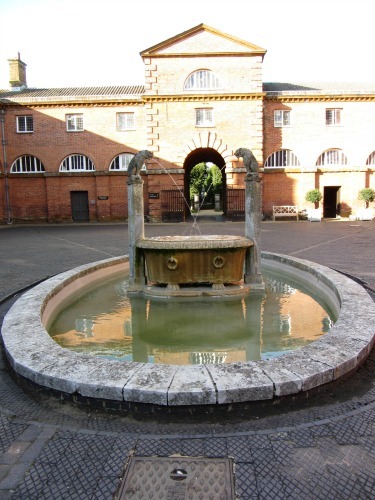 Also within the stable block is the soldier museum. If you love model soldiers, you will be mightily impressed by this. You can pick up a catalogue (free) which explains all the reconstructions of the battles. I just don’t know how anyone can have the patience to do this, but they must have done, it’s quite spectacular! This was a collection that was started in 1928, and after the war the sixth Marquess of Cholmondeley continued to build the collection up at Cholmondeley Castle in Cheshire. 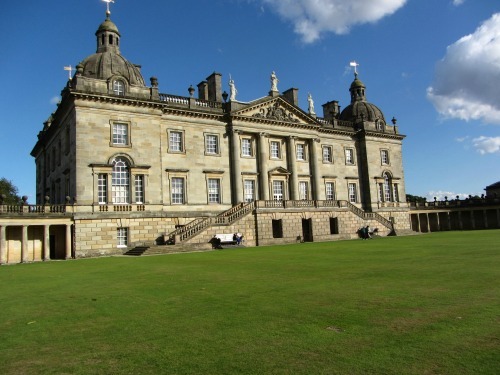 In 1980 the whole collection was moved here, to Houghton Hall. 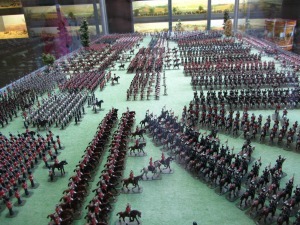 With about 20,000 model soldier figures, this is one of the largest and most comprehensive collections in the world. 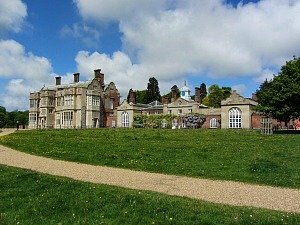 Although Houghton Hall remains a home to the present Marquess and his family, this is a Norfolk stately home that brings history alive and gives you, the visitor, an extremely enjoyable and informative experience.